Columbia Pictures' new animated adventure The Emoji Movie saluted the 70th Cannes Film Festival, May 17, 2017 as it took over the Carlton pier and star T.J. Miller arrived via parasail in a timely publicity event to hype the film. Miller then hosted the event – joined in by the Emoji characters on the barge – then led in the launching of the animated comedy's international trailer which can be viewed here. 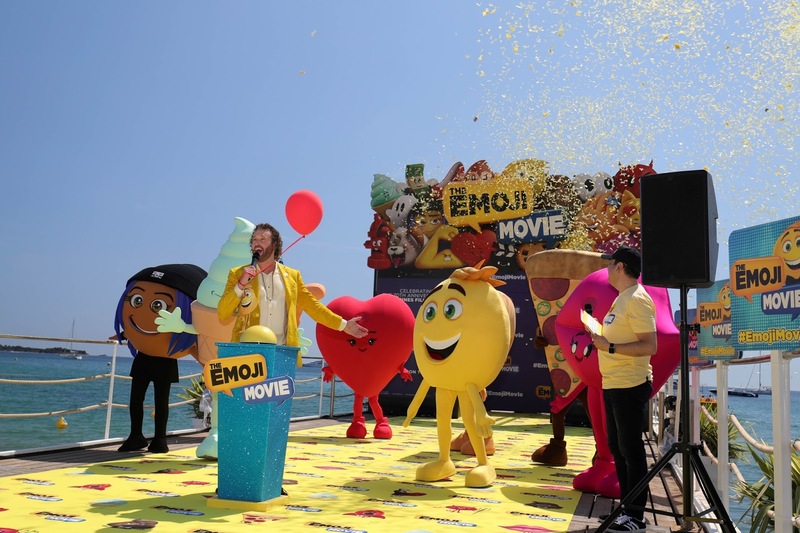 In Philippine cinemas starting August 23, 2017, The Emoji Movie is the new animated adventure that unlocks the never-before-seen secret world inside your smartphone. Hidden within the messaging app is Textopolis, a bustling city where all your favorite emojis live, hoping to be selected by the phone's user. 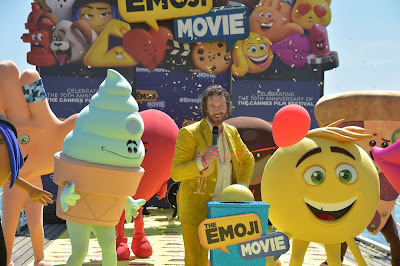 In this world, each emoji has only one facial expression – except for Gene (T.J. Miller), an exuberant emoji who was born without a filter and is bursting with multiple expressions. 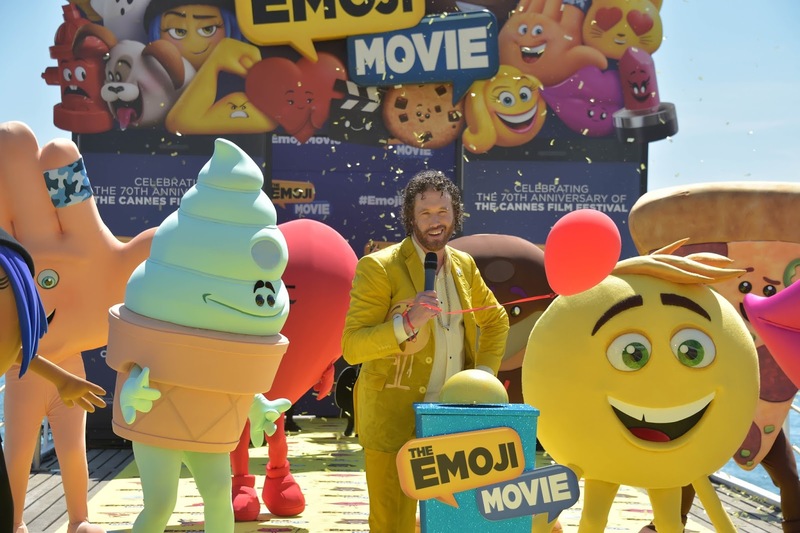 Determined to become "normal" like the other emojis, Gene enlists the help of his handy best friend Hi-5 (James Corden) and the notorious code breaker emoji Jailbreak (Ilana Glazer). 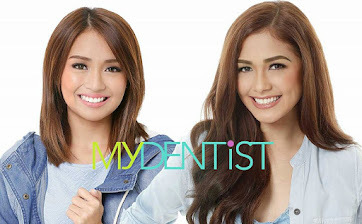 Together, they embark on an epic "app-venture" through the apps on the phone, each its own wild and fun world, to find the Code that will fix Gene. But when a greater danger threatens the phone, the fate of all emojis depends on these three unlikely friends who must save their world before it's deleted forever. Directed by Tony Leondis. Written by Tony Leondis & Eric Siegel and Mike White. Produced by Michelle Raimo Kouyate. 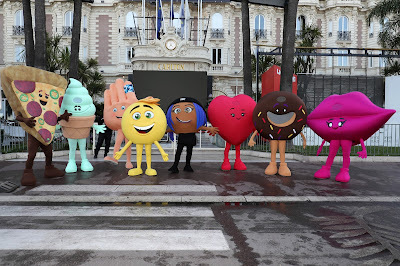 The Emoji Movie is distributed by Columbia Pictures, local office of Sony Pictures Releasing International.